We’d love your help. Let us know what’s wrong with this preview of Liesl & Po by Lauren Oliver. Liesl lives in a tiny attic bedroom, locked away by her cruel stepmother. Her only friends are the shadows and the mice,until one night a ghost appears from the darkness. It is Po, who comes from the Other Side. Both Liesl and Po are lonely, but together they are less alone. To ask other readers questions about Liesl & Po, please sign up. imt-us-nov1218 yes it is a good book !!! Could an 11-year-old girl read this? Willow Yes, definitely. I believe I read it when I was 10 or so. Liesl has been locked away in her stepmother’s attic for a very long time, ever since her beloved father got sick. One night, a pensive ghost named Po appears in her room and lift Every once in awhile, a children's book comes along that whisks you away to another world--and if you're very lucky, at the end of the story, it's one that also illuminates your own. Liesl & Po extends a delightful invitation to wizardry and adventure, but it’s also a gentle and poignant rumination on love and loss. A truly magical story! Liesl & Po will open your heart and make you reminisce on your childhood days when you believed in magic and when anything was possible. These added greatly to the imagination and increased the charm of the story immensely. I loved the way the characters were defined in the images. They were A truly magical story! Liesl & Po will open your heart and make you reminisce on your childhood days when you believed in magic and when anything was possible. These added greatly to the imagination and increased the charm of the story immensely. I loved the way the characters were defined in the images. They were exactly how I would have pictured them. The story takes us on a journey with Liesl and her friend ghost, Po, to bring her father's ashes to a house they lived in before her stepmother got in the picture. The same evil stepmother who locked Liesl in the attic since her father got sick - which was a year ago. This book held extraordinary characters. Each and every one of them were fascinating and I couldn't help but be enthralled by them. When I met Liesl, I was immediately drawn to her innocence and devotion. I really enjoyed her trek to get her father's ashes to their house and how all the characters came together in the most uncanny way. What I also found great was how every characters had a big part in the novel. It didn't necessarily have one main character, it had many and you get to understand and adore every one of them, as well as despise the villains. It didn't have the most unpredictable plot. It was actually pretty foreseeable from an adult standpoint. But this is a story that is written for children (9-12). Of course adults can enjoy this as well, much like the well loved Harry Potter, Percy Jackson, Coraline and lots of others novels. The predictability of the plot never affected my appreciation of the book for a minute. The characters, the magic, the heartfelt moments were sufficient enough. It gave me the same feeling as when I curl up during the holidays to watch my favorite movies that I've seen a hundred times but never fails to make me laugh and smile. Liesl & Po is a an enchanting tale that will bring tears to your eyes and won't fail to make you smile. I look forward to reading this to my son in a few years. It's a lovely and touching children's book so lovingly described by Jim. But alas, I think I'm a bit too old and cynical for it to affect me the way I hoped it would. Which is my fault, not the book's, really. "On the third night after the day her father died, Liesl saw the ghost." This is the story of an 11-year-old Liesl, an orphan, who has been locked up in the attic by her evil stepmother (by the way, why are all fairy-tale stepmothers uniformly evil and ugly?). She meets Po, a ghost, an "it" It's a lovely and touching children's book so lovingly described by Jim. This is the story of an 11-year-old Liesl, an orphan, who has been locked up in the attic by her evil stepmother (by the way, why are all fairy-tale stepmothers uniformly evil and ugly?). She meets Po, a ghost, an "it" from the Other Side, who has no memory of life on the Living Side. For the touch of the irresistible cuteness, we have Bundle, Po's companion, who may have been a dog or a cat back on the Living Side. 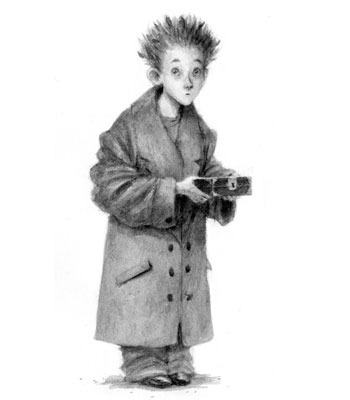 And there is also Will, a young alchemist's apprentice, whose unwitting mix-up set the events of the story in motion. "People need other people to feel things for them," she said. "it gets lonely to feel things all by yourself." "She liked the word 'ineffable' because it meant a feeling so big or vast that it could not be expressed in words. And yet, because it could not be expressed in words, people had invented a word to express it, and that made Liesl feel hopeful, somehow." This is a story full of melancholy and sadness. No wonder - from the afterword we learn that Lauren Oliver wrote this after a death of her friend, and the grief is palpable through the pages of this story, further illustrated by the beautiful and somehow sad pencil drawings. This is a story of loss and grief, sometimes explicitly stated (Liesl) or just heartbrokenly hinted at (Po and its traces of memories of friendship and being left out). It is the story of childhood that was not full of love and kindness (Will). "Useless was one of the alchemist's favorite words, and he used it interchangeably to describe Will's plans, thoughts, work, appearance, and general selfhood." But it is also a story of hope overcoming sadness, light ultimately winning over the darkness. A story of beautiful sadness, so to speak, the kind that ends up being uplifting and serves as a guiding beacon on the way to ultimate happiness. It is the story I would have adored as a small child. But this is also a story that does not completely ring true to my adult self, calloused by world experience. And this is why. This story is set in the world of greyness, the world from which the sun and brightness has been removed years prior. But in contrast to the greyness of this world, the narration is clearly done in terms of black and white. We know who the good guys are. We know who the bad guys are. They are clearly defined, clearly separated, without much development that suggests growth or evolution or depth that blurs the back-and-white distinction. I guess I miss the in-between, the borderline that gives dimension to the world. But I remember loving having the world defined as 'good' and 'bad' so clearly when I was little. Hey, that's half of the appeal of the Disney movies, after all - the lovely clarity that they bring to our world. But I still missed the greyscale, so to say. The ending - beautiful and satisfying. But given the tone of the story, I was half-hoping for a touch of bittersweet. I think my childhood has been scarred by the ending of Exupery's The Little Prince, when I suddenly realized that the Prince may have not just simply gone back to his planet and his Rose. And that feeling of childhood mental scarring is what somehow was making an adult in me long for a bittersweet ending here. "Two visits to the living side, and the ghost had already become a little more human. Po had remembered how to lie." All that said, I still enjoyed this book very much. The drawings were beautiful. The story was compelling. It is quite quotable. It leaves the reader with a warm and fuzzy feeling inside, and even my cynical heart knows that sometimes all of us need a bit of that feeling, a bit of something that is uplifting and beautiful, and realism or bittersweetness be damned. And at the end, I gladly give this story 3.5 stars, put it on the imaginary bookshelf meant for my future (hypothetical) daughter, and recommend it easily. "And this, really, is the story-within-the-story, because if you do not believe that hearts can bloom suddenly bigger, and that love can open like a flower out of even the hardest places, then I am afraid that for you the world will be long and brown and barren, and you will have trouble finding the light. But if you do believe, then you already know all about magic." I originally gave this 4 stars but changed it after I did some thinking. I definitely wanted this book to be at least 4 stars and even convinced myself at certain points that it was far better than I actually found it to be. Well, as much as it breaks me to say it and as much as I did find some pleasure in reading Liesl & Po, this book just struck me as being nothing special. I didn't realistically believe that I was going to get another Harry Potter, but there are many kids books I've enjoyed, Beyond the Deepwoods, the haunting A Monster Calls (though, arguably more young adult but from a child's POV)... the former took me on a wild and exciting adventure and the latter left a lasting mark with it's beautiful message. I think Lauren Oliver was going for both but actually achieved neither in the end. Basically, the book is about a mix-up, some ghosts and a few vindictive characters out for what they can get. There is no message, no hidden meaning, and I found the ending somewhat anti-climatic. Also, there are questions left unanswered that I can't talk about in this review without giving away the ending; but they're quite important questions, whose answers could have greatly added to the story. I also found Liesl, Po, Will, and everyone else as well to be very one-dimensional. They all had agendas but they never seemed to have thoughts or feelings. If someone asked of me: "think of one word to describe Liesl's personality", I would reply "errrr...." and the same would go for all the other characters too. I don't think it relevant to point out that this is a kid's book, having memorable characters with unique personalities should be important to all age groups surely. If you don't have this on your to read list, put in not there right now. Ahem. Come around, everyone, and join me and my cat in this amazing review of a truly amazing book. Such a peaceful scene........my cat and me. I know that I don't write many five-star reviews, or even give out many five-star ratings in general, which I why I waited a solid day to let my feelings germinate about whether or not that this book truly deserved such high praise from me. And I can honestly one-hunde If you don't have this on your to read list, put in not there right now. And I can honestly one-hundered percent tell you all with absolute certainty that this book does. Time ticked forward. Stars collided. Planets were born and died. Everywhere and in every fold and bend of the universe, strange and miraculous things happened. And so it was, just then. I bow down to your wordy prowess, Oliver. And weep because I will never reach that same kind of level. I just said wordy, for pete's sakes. as I read; there was never a point where I was totally bored. If I wasn't reading about Liesl and Po on their adventure together I was learning about the amazing Other Side from Po, being disgusted by Liesl's stepmother, and learning about all of the characters. Now, normally, all of those POVs just doesn't work, but without them in the story, I don't think the final scene would have had the same affect as it ending up having for me. I doubt that this will happen, but if the many point of views bother you or you think that they're boring, just wait for the ending of this novel and it will all work out. I sure as hell got a little misty-eyed by the end of this amazing little tale so, yes, have a couple of tissues to dab your eyes. It's not as gut-wrenchingly sad as A Monster Calls (another great great great story that you should all check out if you haven't already) but it still twinges the heartstrings in just the right way to get a reaction out of me every time I read that section. The famous poet Pablo Neruda (who is pretty much my favorite poet, and if you haven't seen any of his work you should really check it out) really helps to explain this book as a whole. From one of his most famous works Tonight I Can Write the Saddest Lines, he states, "loving is so short, forgetting is so long" Besides the great eloquence and sheer amazingness from that statement along, not forgetting the poem as a whole, that's really what this story is about. No matter how much you try, you cannot escape, cannot "forget", yourself; your true self. The Lady Premire will, for all her posturing, be that whiny, poor, fisherman's daughter. A little, blonde-haired, girl with a face to match her kind heart locked up in an attic for over a year will never stop being that bright, creative soul. A small ghost named Po, and a cat/dog who mwarks his way through conversation will, no matter how much the Other Side deigns to pull them apart; make them shadows of their former selves, will eventually return to the light, to who they were before. 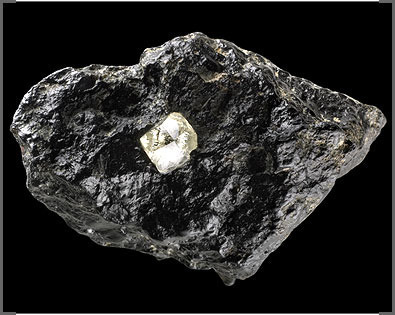 Even nature, the biggest, most complicated, and, yet, one of the most simple matters of our existence will go back to what it used to be-what it should have been. However, whether that ineffable (if anyone has read this book already you may give me some props for that) part of you; your Essence, essentially, is good or bad is up to you to make as a child. Which is why I believe that childhood, and what you do with it, is so enormously stressed in Liesel and Po. That's the time where you make yourself, mould yourself into who you will always be, even if you change paths as an adult. A little boy who grew up wanting to be a fireman and is now an adult will always be, deep down, that little boy wearing an overly large fireman's jacket and bright red hat; maybe even holding a whistle, strutting around the house proudly displaying that he is the protector of that house. Maybe he does become a fireman/police officer as an adult, but he will almost always be a brave soul, even if that little boy grows up to be a marketing salesman. Another girl *cough cough* me *cough cough* who was always ran around catching frogs in her muddy little stream, attended animal adoption gatherings like it was a party, and was enamored with doctors shows and watching surgeries even from the age of seven, will probably do something in the medical field as an adult. Even if she doesn't she will most likely always be a kind and caring soul. Childhood is something that's enormously precious to each and every single one of us, and since most children won't exactly understand that if we tell them, and that mostly ruins the point of childhood; that soft, brilliant, innocence, it's our job as adults to just give them the nudge in the right direction. They still might make it there without us, that's one of the great attributes of children, but isn't that the point of life? One of the points that Oliver tries to teach? Why even claim that you have life if you do nothing with it? Nothing productive that changes the world- whether it's by drawing a small ghost paintings of trains with wings and honoring your father's final request, or giving a small little boy a hat who looks like his ears are cold even if it means chasing him across the country to do it? It's your life, folks. Do what Oliver suggests in this book first by reading it, understanding it, then doing it. You never know what may come of it. I read Delirium and it really wasn't for me. I didn't like the premise, the romance, the characters, the story or the writing style. So understandably, I've been avoiding Lauren Oliver's books ever since. But then there's this one: middle grade fantasy + magic + ghosts + illustrated novel + everyone's raving about it + some sort of talking pet (?? I hear) = sounds like Catie candy. And yet, I was hesitant. UNTIL...Jim challenged me to read this IN THE NAME OF SCIENCE. Just how much does overall wr I read Delirium and it really wasn't for me. I didn't like the premise, the romance, the characters, the story or the writing style. So understandably, I've been avoiding Lauren Oliver's books ever since. And yet, I was hesitant. UNTIL...Jim challenged me to read this IN THE NAME OF SCIENCE. Just how much does overall writing style matter to me as a reader? #1 Delirium: Descriptive prose + dystomance +ludicrous premise + teen angst = I hated this book. #2 Liesl and Po: Descriptive prose + middle grade fairy tale + ghosts + magic + cute pets = ??? The silly assumption there being that Lauren Oliver’s writing style would remain constant, even when she’s writing for a completely different age group and in a completely different genre. Because that obviously makes total sense. Not to mention, this little experiment has a frightening lack of controls. So basically what I am saying here is that I am a pathetic, horrible excuse for a scientist and this experiment is a total sham. BUT! I am still very glad that I read this book, because I liked it. No, I didn’t love it, but I’m glad that I gave Lauren Oliver another chance. This was a far cry from Delirium for me, not only in writing style (which was completely different) but in almost every other particular. I will probably be checking out more of her other books in the future. I think the best way to describe this book is with a quote from the author herself, taken from the afterword (which is beautiful and made me see this book in a different light). She writes, “…it is a way of finding a happy ending – even, or especially, when the happy ending is denied me in real life.” She further writes that she wrote Liesl and Po to help herself cope with the grief of losing a very close friend. And that’s exactly what this story feels like: comfort. This is the story of Liesl, who has been recently orphaned. Her father is dead, and her stepmother has since locked her in an attic with one meal a day (or less) and no contact with the outside world (although apparently she does provide drawing materials). One night, Liesl notices a strange darkness in the shape of a child and discovers a ghost in her room. Po and his ghostly pet Bundle are drawn to Liesl, and she soon enlists them in a quest to find her father on the other side. Meanwhile, in another part of town another orphan named Will is toiling and barely surviving as an evil alchemist’s apprentice. One fateful night, Will makes a dreadful mix-up that will lead these two orphans to cross paths. This story is, in a word: adorable. And I think that is one of the main reasons it didn’t really grab me. It felt soft and sweet like comfort, where I wanted it to feel nuanced and prickly, like truth. A lot of the fairy tale standards are here: an evil stepmother, a beautiful girl trapped in a tower, a wicked alchemist, an unlikely hero, a faithful companion. But they never transcend beyond the standards. The evil stepmother is just plain ugly, inside and out. The girl is beautiful and well-mannered and brave. The heroes are stalwart. The villains are crazily dedicated to harming the heroes, often for very little reason. The solutions are simple and the endings are neat and tidy. And I am the kind of reader who has questions – like, why would a kind, perfect father marry such a brute and move his daughter away from the only home she’s ever known? How would Liesl survive the months of starvation and cruelty and still emerge whole, beautiful, clean, and kind? If a person’s “essence” on the other side is so fluid and separate from the physical realm, why would Leisl’s father’s ashes be so important? However, I think that in the end these are adult questions. These are the things that I probably wouldn’t have given two hoots about as a child. I think this is classified as middle-grade, but I would actually say that it’s appropriate for even younger children. I would read this to my six and a half year old in a heartbeat. If I had to choose one word to describe Liesl and Po, that word would be “ADORABLE”. If I could choose two words, they would be “ineffably adorable”. I sincerely wish that I would have chosen to read this before I read Delirium. I honestly think I could have enjoyed the writing style in Delirium more had I known what Oliver was capable of. Somehow Ms. Oliver has managed to capture a special magic, while not the same as “Potter” magic, it is still quite addicting and mesmerizing. I have heard a co If I had to choose one word to describe Liesl and Po, that word would be “ADORABLE”. If I could choose two words, they would be “ineffably adorable”. Somehow Ms. Oliver has managed to capture a special magic, while not the same as “Potter” magic, it is still quite addicting and mesmerizing. I have heard a couple people call this book “an instant classic” and I actually agree. This is one of those gems you find from time to time and want to share it with everyone you know. I really can’t say enough about how adorable this book is. Although it is a children’s book, I think pretty much anyone could enjoy it. It is a short and easy read. Liesl is a lonely little girl who has been locked in an attic by her evil step mother. One thing I love about this book is that Lauren Oliver has stated that she does not intend on writing a 2nd one. Lately it has really bothered me that some authors seem to try to capitalize on their books and keep writing more and more and more long after the story has been told and done and beaten like a dead horse. I admire that Oliver has decided to let this book stand for itself. This was my first read of a Lauren Oliver book. It was obvious after the first few pages that it was extremely well written, and that there was a special - one might say ineffable - quality about the writing. All of the great books have a special quality in their prose. But there was something about this one that just radiated warmth. The phrases and pages had a symphonic quality as they wound around my head - a sort of perfection of timing and tone, of musical phrases moving separately and then This was my first read of a Lauren Oliver book. It was obvious after the first few pages that it was extremely well written, and that there was a special - one might say ineffable - quality about the writing. All of the great books have a special quality in their prose. But there was something about this one that just radiated warmth. The phrases and pages had a symphonic quality as they wound around my head - a sort of perfection of timing and tone, of musical phrases moving separately and then coming together. I kept thinking, as I read, about just what it was that made the book so magical for me. After all, this was a “children’s book”, and I had bought it for my my two grade-school-age boys. I did that because of glowing reviews from GR friends that I trust implicitly, including those from Wendy and Kaethe. As I have said before, it is extremely easy to find the best books to read when you rely on advice from those who REALLY know books, and have read (seemingly) EVERYTHING. So, I picked a propitious moment to tag along with my friend Cillian and read this book. And promptly fell in love with it. Liesl is a lovely little girl who has been locked away by an evil force in her life. Living in miserable conditions, she grieves for a lost loved one. When Po appears, her life begins to change. As each new character is introduced, we get a fascinating thumbnail of the personality, but little idea of how the pieces will fit. The potions and magical elements start to appear. And the story begins to take shape around a small wooden box and an unfortunate (and portentous) mistake. What follows is a series of highly fortunate, and then most unfortunate coincidences. And if you are like me, you are not bothered at this point by trivialities such as probables and plausibles. After all, the bending of realities is not sooo egregious, and the elements of fantasy are so beautifully delivered that every piece seems to fit exactly in its proper place. Even the evil ones are deliciously bad, and the whole structure moves forward with a sublime rhythm that I found completely mesmerizing. The plot lines cross and re-cross, and this magical story winds along, with all of its twists and turns. The prose is superb throughout. Every step of the way, you get a clear (3rd person) picture of the thought processes in each of the characters. For me, this book succeeds at every level. I was particularly pleased with the treatment of the good-vs.-evil themes and characters. It is easy to look around us and see evildoers (use your own definition) who succeed beyond any notion of ‘justice’, and to conclude that there is no justice in this life. But if you observe carefully, you can often find examples where evil is its own undoing. And every now and then, you can give a little boost to the process and speed things up just a bit. If you think about how that happens, you might just find some of the same elements at work in this tale. I felt a wonderful sense of calm as the story ended, thinking about the mastery of what I had just read. Then I read through the poignant afterword, and the whole story made even more sense to me. I strongly recommend that Author’s Note, for a personal perspective on what she was feeling as she wrote this, and how she came to see the story when it was complete. I don’t want to spoil that here. As an adult reader, I was completely taken away by this book. I would recommend it for most adults, and of course for children above, say, age 6 or 7. There are some frightening bits at various points, but I really see this as one for ‘kids of all ages’. Coincidences; mix-ups; harmless mistakes and switches. And so a story is born. I usually do not read children's books, but when my good friend, Wendy, told me about it, I knew I couldn't resist. And I'm so glad I didn't. This book has that unputdownable quality to it. Lauren Oliver, this is the kind of magic that I fell in love with when I read Before I Fall. Liesl is a young girl locked in an attic by her evil stepmother. It has been almost a year since she left the attic, let alone stepped outside the house. One day her father dies and she, sadly, was not allowed to say goodbye to him at the hospital. So, for three days she does not light her oil lamp and or draw. It is then that she meets a lonely ghost named Po, who lives on the Other Side. Meanwhile, there is Will who is also horribly mistreated by his adoptive parent, an Alchemist. He is sent on an errand to deliver the Greatest Magic in the World to Lady Premier, but takes a detour to Liesl's house as he usually does, which leads to a mix-up. As fate would have it, Liesl ends up in possession of this Great Magic. She along with Po, Bundle, and Will travel on a journey where they discover friendship, say goodbyes, and find a new and brighter beginning. This book was very charming and I'm quite impressed with Oliver. I found the characters Liesl, Will, Po and Bundle to be very lovable and I constantly worried for their safety. They'd all been dealt very sad cards in life and I kept thinking, "Those poor children. Give them to me. I would love them." The mistreatment of children is just something that deeply bothers me to the core. But through all their difficulties, I loved how they kept on moving forward. Even when situations seemed very bleak, they did not give up. It reminded me of the 1995 version of The Little Princess . I simply adore that movie and the main character, Sara, possessed the same fighting spirit of Liesl that I looked up to as a small girl. Sometimes awful things happen to you in life and it can be hard to pick yourself up, but you must, but more importantly, you can do it. It's a wonderful message to present to young people. This is definitely a story I see myself reading to my kids when they are older. Loved the story, loved the characters but I wasn’t a fan of the style. Liesl. Po. Bundle. Will. Magic. The Other Side. The Living Side. Hats. Big ears. Trains. Alchemy. Attics. Accidents. Sketches. Illustrations. Ineffable. This I the first book written by Ms Oliver that I’ve read and, I have to admit, that I was warned against her. Notnotnot because Ms Oliver is a bad writer and her books are awful and she hates kittens but because my friend knew that I wasn’t a fan of this kind of writing style. Over the past few months of reading YA, I’ve come to the conclusion that I’m more likely to give up on a book because the writing style annoys me than if the character (although, AFPs are another story) or the plot does and I was so close to giving this one up or at least having a long break where I would sit and look at its cover, stroking it occasionally. Luckily, I didn’t because like I mentioned in my high points I loved the story and I loved the characters. I just found the descriptions so distracting. Normally, when writers use long, sprawling descriptions of the smallest things it’s because they don’t really have a story to work with and they’re just spinning it out. But Ms Oliver has a story and it’s a great one and it’s such a shame because based on that alone, this could have been one of my favourite reads of 2011. It just wasn’t working for me and while I don’t want to jump head first into cliché land… this kind of style is like that yeast-based sandwich spread that we all love to have opinions on. Also, it’s unfair that Bundle doesn’t come and visit me on occasion to cuddle me and mwark in my ear. I was going to create a heroine section but I kind of liked these characters altogether. I think they connected really well together and, even though Liesl held them together, I still thought of them as one. I had some problems with the consistency of Po’s character, but I won’t go into it because they’re only minor quibbles. My favourite character was probably Bundle and I’m glad that it turned out to be that. Do you have a copy of this book on or about your person? Yes? Turn to page 8 and 9. Anyway, these pictures were absolutely glorious and were perfectly paired with Ms Oliver’s dreamy/magical prose. I loved the almost smudgy finish they had and they reminded me of when I was in primary school and used to ‘shade’ by licking my finger and rubbing at my drawings. I probably don’t need to tell you that mine didn’t end up looking like these ones.. But they really fit in with Oliver’s descriptions of the world and how everything had that bit of mysterious blur about them. I know that this is actually about a dog, but I still think it’s an extremely beautiful song that fits perfectly with the dream-like tone of the book. 8/10. While I was skimming over other people’s reviews before reading this I kept noticing people mentioning the Author’s Note at the beginning of the book. So when I picked up my book, I had a nosy and was a bit confused because, well, my copy didn’t have one. It was only when I got the end that I realised the UK version had placed the author’s note at the end. Anyway, I really liked what Ms Oliver had to say about the book and the personal reasons as to why she wrote this story. The world, the characters and the plot were given a lot more context that I had seemingly missed when I was reading it. Because isn’t that just beautiful? So even though I wasn’t completely enamoured with the way they were presented, I was really taken aback by not only the idea, the raw and realistic emotions, but also the sentiment behind it. And I believe that Ms Oliver did a stellar job at portraying all of this. People who want a beautiful story with a wonderful cast of characters…but people who don’t mind, in my opinion, overly-constructed prose. People who have ever wondered what it’s like to hug a ghost. People who have always wondered what they could put in that box they bought from Shared Earth but haven’t used it yet. People who are always in the need of a hat. Secret sippers. Recommends it for: Fans of Supernatural Children's Literature! For many years now, I have been reading the “Harry Potter” series by J.K. Rowling and I really enjoyed every single one of them! Now, I have found this quite unusual book (thanks to my friends!) 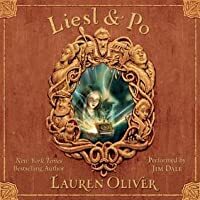 called “Liesl and Po” by Lauren Oliver along with illustrations by Kei Acedera and boy, was it an enjoyable ride that I would not mind reading about again! The story starts off with a young orphaned girl named Liesl being able to see a ghost named Po along with its cat/dog companion Bundle and how she became fast friends with the ghost. As the story unfolds, we are also introduced to a young orphaned boy named Will who is an apprentice to a well-known alchemist and how he was sent on retrieving an important box that contained great magic made by the alchemist. Unfortunately, Will accidentally mixed up the box containing the great magic with another box that had Liesl’s father’s ashes in it! To further add to the mix-up, after Po tells Liesl that her father, who had died years ago, wanted Liesl to put his ashes near the old willow tree at their old home, Liesl decided to go on a journey to her old home to put her father’s ashes near the willow tree, when in reality, she had the box containing the magic created by the alchemist! Understanding the story so far? Do not worry; it will start making sense when you read this book! The reason why I mentioned “Harry Potter” earlier was because this book was really similar to “Harry Potter” as both books have fantasy elements, an intense story and gorgeous illustrations that accompany the story. Probably the best thing about this book was Lauren Oliver’s writing style for this story as each chapter focuses on a different character, but each character arc slowly builds up to a larger story towards the end. 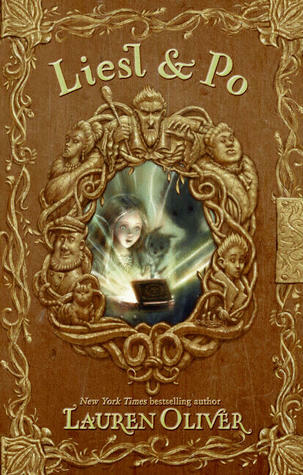 Lauren Oliver has done a brilliant job at developing each character in this story as we feel sympathy for both Liesl and Will as not only are they orphans, but they are hunted just because they were carrying a box that supposedly has great magic in it and they did not know about how important the box was. I also loved the supernatural elements in this book as there are ghosts and magic galore and it really brings a creative streak to the story (especially for me since I love reading about supernatural elements!) and having a ghost as a best friend was a truly unique way of telling a ghost story where the ghost actually helps the main character! Kei Acedera’s illustrations are reminiscent of the illustrations in the “Harry Potter” books and they are extremely beautiful to look at. I always loved the two page panels of the illustrations done by Kei Acedera, especially the image of Liesl’s old home as you can see a gorgeous looking willow tree near a pond on the left side of the page and then an old moss covered house on the right side of the page. The black and white colorings of the illustrations really bring out the dramatic tensions shown in the story and make the story even more effective to read through. The reason why I gave this book a four star rating is because I felt that there were many scenes where the book moved too slowly in pace. The beginning started off really slow and I was waiting for something exciting to really happen to the characters. It was not until the second half of the book that the story really started to pick up and even though I loved the second half of the book, I wished that there were more dramatic scenes regarding the characters. Overall, “Liesl and Po” is definitely one book to check out if you are a huge fan of the “Harry Potter” books and you also love children’s books that deal with supernatural themes! Since this is my first book by Lauren Oliver, I am definitely looking forward to reading more of her works in the future! This is a lovely book recommended to me by Wendy Darling - go read her review for a much more in depth look into this book. I had never read Lauren Oliver's work before, but now I definitely want to seek her other books out. The story is one that reminds me a great deal of The Girl Who Circumnavigated Fairyland in a Ship of Her Own Making, a book that I also enjoyed immensely, so if you liked Liesl and Po and want something similar to read I urge you to check out Valente's book. Before I got to t This is a lovely book recommended to me by Wendy Darling - go read her review for a much more in depth look into this book. I had never read Lauren Oliver's work before, but now I definitely want to seek her other books out. The story is one that reminds me a great deal of The Girl Who Circumnavigated Fairyland in a Ship of Her Own Making, a book that I also enjoyed immensely, so if you liked Liesl and Po and want something similar to read I urge you to check out Valente's book. Before I got to the end I thought I'd give this one four stars because I didn't feel as emotionally attached as I thought I could be. Don't get me wrong, the writing is beautiful and the story is wonderful, but I felt like something was just missing that would have made it a five star book. Then, I got to the last couple of chapters and I could barely see the words through my tears. The emotion just hit me, much to my surprise at the same time Liesl was forced to deal with things. Even now, I get a bit choked up remembering it and typing this out. I alternately love and hate books that do this to me, and most of the time if a book evokes this kind of reaction then I can't help but give it the full five stars. It is easily one of the BEST books I’ve ever read and has now become one of my favorites of all time! This was such a cozy and magical read. I wish I had read it in the fall or winter. It would’ve fit perfectly with either of those seasons. The first thing I have to mention is that this is a pretty damn dark book and grotesque at some points and I loved every ounce of it. I tell you, I’m sick in the head haha I love my dark middle grade reads. Not only was this 5 STARS!! The first thing I have to mention is that this is a pretty damn dark book and grotesque at some points and I loved every ounce of it. I tell you, I’m sick in the head haha I love my dark middle grade reads. Not only was this dark, it was also touching and heartwarming at the same time. I found myself reaching across my bedside table for a tissue every so often (I still have tissues on my bedside table because I’m still under the weather.) and when a book can tug at you like that, it’s a gem! I loved all of the characters, even the nasty, evil ones. This book is 307 pages but feels like it was 600 at least, but I don’t mean that in a bad way at all. It was paced beautifully and almost every character got their moment of development, which made the story much more magnificent. Lauren Oliver really outdid herself with this one, it was written amazingly. Liesl, Po, and Will are the MAIN characters of this book, but the other characters might as well be main too because as I said, almost everyone had their POV and usually that bogs a story down for me and makes me lose interest in the story but in this book, it did the exact opposite. It made everything even better and I didn’t want it to end. Just a little side note: I had my music on shuffle while I was reading the last 100 pages of this book and right when I was reading the LAST page, “Can’t take it in” by Imogen Heap began playing and holy crap it fit the ending PERFECTLY! That really made it an even better reading experience. This book features: a strong twelve year old girl, a spunky genderless ghost, another brave young boy, a cute little cat-dog spirit, murder, mayhem, suspense, dark-comedy, adventure, heartbreak, darkness, and plenty of magic. If any of those things above interest you, PICK THIS BOOK UP NOW! I must surrender my breath as it is threatening to choke me with all that this book put me through. Lauren Oliver's Liesl and Po is a beautiful, painfully moving declaration of love, loss, yearning, despair and discovery. It is about a sad and lonely but hopeful and pretty little girl called Liesl who, with the help of her ghost friends boy-or-girl-but-most-likely-boy, Po and cat-or-dog-but-most-likely-dog, Bundle and young-but-poor-and-recently-homeless-former-apprentice, Will, sets out to lay I must surrender my breath as it is threatening to choke me with all that this book put me through. Lauren Oliver's Liesl and Po is a beautiful, painfully moving declaration of love, loss, yearning, despair and discovery. It is about a sad and lonely but hopeful and pretty little girl called Liesl who, with the help of her ghost friends boy-or-girl-but-most-likely-boy, Po and cat-or-dog-but-most-likely-dog, Bundle and young-but-poor-and-recently-homeless-former-apprentice, Will, sets out to lay her dearly departed father's dust in peaceful rest at the "pond by the willow tree". There's a lot going on in this book. Its so heart-wrenching - and I don't like using that expression because it is so overused but this book is...There's so much wanting and wishing; some grand, some mischievous and some devastatingly simple. What struck me most was how knowing Oliver is of the human heart and all of its nooks and crannies. Not that its hard to understand ourselves (although it is), but her intent is so clear that it is because I know exactly what the characters want and need that my own heart broke. Liesl wishing her father back, Po finding again what it is like to feel and remember, Will looking for someone, anyone, to think more of him than useless...Mo, ever grieving his long lost sister; the alchemist, hungering for his long overdue glory; the Lady Premiere denying her shameful past...so much running from and racing to, all desperate, lost and determined in their own way. I'm going to buy a copy of this book. This is one I know I'll be revisiting in the future. Its an easy read; it goes so fast you hardly believe where all the pages have gone. But it really does reach out and hit you in the heart (wink, wink). Liesl and Po is a triumph...well done, Oliver. Well done, indeed. You say this story was your confession...here is your absolution. Also, Mwark. Is that not the best invented animal sound you've ever come across? Coincidences; mix-ups; harmless mistakes and switches. And so a story is born. It was snowing, and late, and already getting dark, and as Will passed by Kevin Donnell's house, he had seen a door flung open. He had seen light and warmth and the big, comforting silhouette of a woman inside of it. He had smelled meat and soap and heard a soft trilling voice saying, Come inside, you must be freezing....And the pain had been so sharp and deep inside of him for a second that he had looked around, thinking he must have walked straight into the point of a knife. Looking at the girl in the attic window was like looking into Kevin Donnell's house, but without the pain. Po had never seen a ghost cry before. There were no actual tears: just quivering little dark spots, like shadows that pushed apart the atoms of Liesl's father's face, temporarily revealing the starry sky beyond. Ghosts, even the newest ones, just weren't held together very tightly. Oh I wish this could have been a book I had read as a child. Lauren Oliver is one of the only authors in which I truly love each and every one of her books. (Alongside J.K Rowling). Delirium, the first book I read by her, was brilliant. Before I fall, the second, amazing. Liesl and Po, no different. I can imagine this story being purchased by Disney, or Pixar, at any moment. 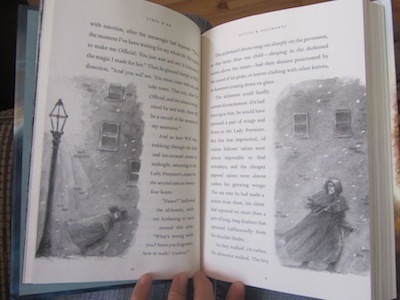 The book itself (the hardcover version) Is also the most beautiful book I have on my bookshe Oh I wish this could have been a book I had read as a child. The book itself (the hardcover version) Is also the most beautiful book I have on my bookshelf. But that’s not even the start, the illustrations inside are brilliant, and they added to the whole magical journey. I won’t tell you the plot, for that, simply read the info section of the book, (duh) what I’m here for, is to tell you how good this book is, and I feel that I have. But I’m also here to tell you WHY the book was good. The story was clever, the characters were brilliant (count the amount of times I say brilliant in this review, it’s quite amusing), and the whole world was mesmerising. You can also tell the story means a lot to the author and how she coped with the death of her friend. The effort put into this book, by the author, combined with the artwork, is brilliant (there’s that word again). A child’s book that would be wasted if it was read by just children, for it contains hidden darker themes present, and a deeper level of understanding that only an adult could perceive. Buy it for your kid, buy it for yourself, it really doesn’t matter. Just buy this book and love it, like I did. I loved how much food was in this story! And yet -- it's a story about soup and hot chocolate and potatoes and everyones' lives are all surrounded by deliciousness. From the moment you read the authors introduction which explains what inspired her to write this book - you find that the book is more than just another story, another project. It's a very big part of the author - it represents the passing of a best friend - it's personal. As the author mentions. LIESL & PO is the most personal book she has ever written. You flip to the first page with your eyes a little more wide open, aware, and even a little heavy hearted. Yet the world you discover bene From the moment you read the authors introduction which explains what inspired her to write this book - you find that the book is more than just another story, another project. It's a very big part of the author - it represents the passing of a best friend - it's personal. As the author mentions. LIESL & PO is the most personal book she has ever written. You flip to the first page with your eyes a little more wide open, aware, and even a little heavy hearted. Yet the world you discover beneath these very pages is delightful and magical. A story that belongs to a young girl called Liesl who lives in an attic locked away by her stepmother. Liesl's father has recently died and she feels more lonely than ever. She spends her days in the attic without complaint, eating what little is given to her by the servants and drawing to pass the time. A lost boy called Will and a ghost under the name Po and his pet that are in between the living and the dead are the very characters that will change all that. Po's referred to as "IT" and it's interesting to see things from his perspective. I enjoyed how throughout the book he became more human - almost discovered feeling, and from time to time had a vulnerability about him when it came to Liesl. When Liesl, Will and Po come together the three set out to help one another and most importantly help Liesl do what in her hearts of hearts she knows she must. What I loved also was these three characters discovering themselves with each day and growing. Will has noticed the pretty Liesl for weeks if not months as he has stopped by her window nearly everyday, struck by her heart shaped face and this array of loneliness about her that matches his very own - on the way to doing errands for the Alchemist. You then have Po who seems to be changing in his own way the longer he spends time with Liesl. You notice through little clues. Such as; when he becomes irritated when Will is around, or when Liesl is paying him more attention - which I found amusing as well as quite touching. Or perhaps when Liesl questions him being real which often seems to hit a nerve. In a way she brings a little part of him alive a little more everyday through keeping him in touch with reality. I felt sorry for Po at times. His sadness weighed heavy on me. It must be hard for him to know that he can never touch her, express himself the way Will can. Then there is Liesl who finds herself grow warm with compassion for these very two individuals who have stayed by her side and protected her. Seeing the three of them grow closer day by day, look out for each other and trust one another is lovely. I became fond of them and found that they were all precious to me. I wanted to protect them during the not so great days. I don't read MG but reading this book has opened me up to the possibility of reading more. Although the premise isn't really anything new or remarkable it's the characters that will win over the hearts of readers - particularly Liesl. Of course it helps that the author has a way with words. LIESL & PO was fast paced, delightful and completely endearing. Liesl is a character who you can't help but love. Trusting, adorable, caring and naive she is a breathe of fresh air. As the three set off on their journey they will face countless obstacles; particularly people who have other motives. In a dark dreary world that seems to have lost all colour, our protagonist seems to be the only one who shines bright. The illustrations only brought the book and characters to life, and were are a much welcomed addition to the book. The ending itself is beautiful, but more so perhaps because of the awareness of what it represents. When I saw a certain part I couldn't help but think of the author and her best friend; I couldn't help but think how hard and sometimes unbearable, as well as bitter - sweet it must have been to write this book; that very part. It was these thoughts which made my eyes well up and realise just how personal this book truly was. It made LIESL & PO all the more wonderful to me. Really lovely to read a middle grade book by Lauren Oliver, the author's note at the end did a lot to enhance the story. With a great mix of characters and themes, I'm pleased my local library had this to offer! This is a magical middle grade novel featuring multiple points of view. There are three main characters of importance, but we see some scenes through the view point of others. Though a good portion of the story is set within the same town, there is a nice little adventure that leads you away towards the middle and end of the book. I had a lot of fun reading this book and thought that overall, it was a pretty solid read. There was a great balance of dark and whimsical. -The main characters were so fun to read and I found myself really rooting for them to win. Po is my personal favorite and I really enjoyed his view points. -There is a great balance of dark and whimsical. The adults in this book with the exception of one are absurdly horrible while the children are straight up cinnamon roll characters. There is also a contrast in motives for each character that contrast nicely and add balance to the story. -I am a sucker for friendship stories. I will say that I preferred Liesl and Po's story line over that of Liesl and Will. Now a few things I didn't like. -I didn't like that there was a lot of focus on whether or not Po was a boy or a girl. When this couldn't be decided on, Po was referred to as it. That was something that I did not like, and while I feel like this was not written with any ill intentions, it feels harmful. This is not something I can personally decided for every reader, but I did want to make note of this. -I really loved Po's story line but it was cut off a little abruptly at the end. This didn't sour the story for me, but I was really sad that there wasn't a little more there in the end. Overall this was a fun read and I do recommend it if you want something a little dark with a magical feel. So, first things first: I have wanted an ARC forever. I have always dreamed of it, wanted to see the typos and unfinished artwork, wanted to be one of those people who gets to see the story first. And finally, I got one. I'd hoped that it would be amazing. But I promised myself, even if the story stunk, I would still keep it on my bookshelf. It would be an ARC, mine, something to be proud of. The truth is that I had nothing to w so. cute. I'd hoped that it would be amazing. But I promised myself, even if the story stunk, I would still keep it on my bookshelf. It would be an ARC, mine, something to be proud of. The truth is that I had nothing to worry about. Liesl and Po was a great introduction to the world of ARCs, and a delightful book to read. The basic story is simple: Liesl lives alone, locked up in her attic by her cruel stepmother. One night, Po, a ghost, arrives, accompained by his half-cat, half-dog pet, Bundle. Liesl and Po become friends, and Liesl asks Po to venture into the Other Side (the land of the dead) to find her recently deceased father. Po does, and finds that Liesl's father wants nothing more than to be placed beside the willow tree, thousands of miles away, beside his late wife. The basic concept is a bit cliched, and when I saw that Liesl was locked up in her attic I rolled my eyes. Fairytale cliche one, in my opinion--locked up girl, not knowing what to do with herself but reading her way out of situations and scheming about how to get out. But Liesl turned into so much more than that. She was strong, inquinstitive, funny, and creative. She was truly very strong, but also a bit nutty (which more than one character remarks upon). "Are you here to haunt me?" Liesl asked. Po sighed. He hated when humans thought ghosts existed only to jump out at them, hide behind abandoned wearhouses and scare them. "No," he said finally. "We have better things to do with our time." Will was equally well developed, but then I come to my problems with the characters. The minor characters were all a bit cliched. There was evil stepmother Augusta, complete with murder, a rotund body and an icy daughter; thickheaded Mo, soft and sweet; the Lady Premiere, who was like a stepsister; and then the alchemist, who seemed a bit Jack Frost-esque to me. The characters were cliche, but they were a bit obvious. They all seemed to fall into the same character holes: sweet, slightly naive and thickheaded; evil and mean with almost no reason (Augusta had no reason, really, but the Lady Premiere did), and wanting revenge and being dasterdly. I'm probably going too deep -- the book is MG, and the characters are developed well enough that you still like them -- but they seemed a bit too obvious. Onto the plot. I thought the plot would be cliche when I read the description (which by the way is different then the one on my ARC, HECK YEAH), but it wasn't. Oliver's lyricsm was on full blast, with goregous descriptions of scenery and characters. Sometimes the lyricsm seemed a bit much, like Oliver had written it that way since lyricsm was her "trademark". After Delirium, Oliver's last novel, I was worried about her next book. But she triumphed. The book is a cute, fun romp full of twists and turns and a story I definitly would have enjoyed when I was younger. I still enjoyed it, though, and I think teens would still find it a fun, quick read. Now, the part where I get to brag and talk about funny things in my ARCs. On the back, where the Library of Congress description is and such, Lauren Oliver's name is wrong. :P She's credited as Laura Schedenfrude. Apparently she changed her name right before the book went to print. XD It's a small mistake, but it was still funny. There are also some cool tidbits, like on one page there is no art and instead gray boxes saying "ART TO COME"; the author and illustrator bios are missing and replaced with "LAUREN OLIVER BIO TK" (not sure what TK stands for; "To Come" has no K), and most of the art are sketches. It's obvious because there is some finished art, and it's a thousand times more clear and fleshed out then the rest. So, to finish up, I recommend getting Lisel and Po the second it comes out. ;D Lauren Oliver has triumphed again, and I think she has returned to her "groove", especially after so many people disliked Delirium. A cute, fun, middle grade romp that's sure to be a delight for everyone, filled with Oliver's goregous writing and a clever plot. After the death of her father, Liesl has been locked into the attic of her house by her step-mother Augusta. 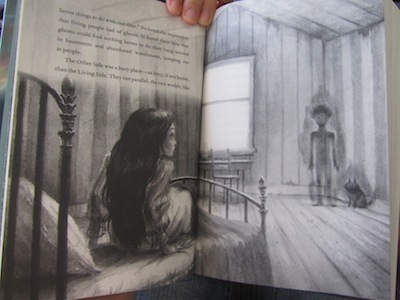 One night a young ghost named Po and his animal companion, Bundle, appear in her room from The Other Side. A young boy named Will is working as an apprentice for a powerful Alchemist and is told to deliver the most powerful magic in the world to The Lady Premiere that same night. Unfortunately for Will, there is a mix-up that causes a big adventure to begin for not only him, but Liesl as well. The book was entertaining for the most part, but I found my mind drifting constantly while reading it. It couldn't hold my attention for longer than a chapter or two before I would put the book down and move onto something else. I did like Liesl, Po and Will as main characters. I found them to be very brave and strong. All three of them has a great amount of character development through out the story which I appreciated. 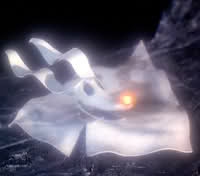 My favourite character would have to be Bundle though, he was such a cutie... even though he was really just a shadow. I also really liked Mo, he was such a gentle giant! I was immediately captivated by the cover of Liesl and Po. This was a magical book, a new fairy tale, a story with both great darkness and wondrous possibility. And then I started reading...and Oliver's text was exactly what the cover promised. The story begins in a world without sunshine. Liesl is locked in the attic by her stepmother and her father is recently deceased. 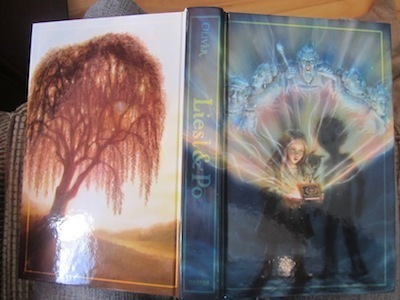 Po and Bundle are dark ghosts who are attracted to Liesl's drawings and Will is an orphaned alchemist's apprentice who is attr I was immediately captivated by the cover of Liesl and Po. This was a magical book, a new fairy tale, a story with both great darkness and wondrous possibility. And then I started reading...and Oliver's text was exactly what the cover promised. The story begins in a world without sunshine. Liesl is locked in the attic by her stepmother and her father is recently deceased. Po and Bundle are dark ghosts who are attracted to Liesl's drawings and Will is an orphaned alchemist's apprentice who is attracted to her face at the attic window. When Will accidentally loses the alchemist's most powerful potion, accidentally switching it with the ashes of Liesl's deceased father, he is forced to run away. Soon after, Liesl sets out with Po and Bundle to bury the box she believes holds her father's ashes. While escaping a host of strange adults- characters who might have escaped from a Roald Dahl novel- Liesl and Will meet one another, their story threads weaving together effortlessly. But what will become of the most powerful magic in the world? And how can Liesl and Will ever escape the powerful and murderous adults following them? "Dan sungguh, inilah inti dari segalanya, karena jika kau tak percaya bahwa hati bisa mengembang secara tiba-tiba, dan cinta bisa merekah layaknya bunga bahkan di tempat yang paling keras, aku takut kau akan mendapati jalan yang panjang, gersang, dan tandus, dan kau akan kesulitan menemukan cahaya. Aku sumpah ga berlebihan. Cerita sederhana ini layak mendapat nilai sempurna. Dongeng mengharukan pembangun jiwa. Ju "Dan sungguh, inilah inti dari segalanya, karena jika kau tak percaya bahwa hati bisa mengembang secara tiba-tiba, dan cinta bisa merekah layaknya bunga bahkan di tempat yang paling keras, aku takut kau akan mendapati jalan yang panjang, gersang, dan tandus, dan kau akan kesulitan menemukan cahaya. Aku sumpah ga berlebihan. Cerita sederhana ini layak mendapat nilai sempurna. Dongeng mengharukan pembangun jiwa. Juga banyak sekali bait-bait indah dan menyentuh di buku ini. Ahhh I am so charmed by Liesl and Po! I was first delighted by the fairy tale storytelling of Plain Kate by Erin Bow, which I found excellent; Liesl and Po is a book worthy of the same praises. Liesl, Po, and Bundle are a quirky trio who are on an adventure together. Pair that with alternating chapters where we meet Will, and you'll be reading long into the night with a huge smile on your face. This is a perfect read-aloud for a classroom or family, particularly because of its middle grade classifi Ahhh I am so charmed by Liesl and Po! This is a perfect read-aloud for a classroom or family, particularly because of its middle grade classification. The teachers, parents, siblings, and grandparents reading this aloud will be begging to read just one more chapter right along with the children listening. This ia a very charming book, though a total departure from BEFORE I FALL (which I also loved). In this old-fashioned tale of orphans, ghosts, and runaway apprentices, a little girl and her new friends go on a strange adventure which is by turns humorous, tense, and poignant. Such a good book! And it's illustrated, too. I read the Advanced Readers' Copy, so the art wasn't final, but it still looked fun, and I can't wait to get a real copy! I’m convinced that as an author Lauren Oliver can do no wrong. No matter the genre, she is a powerful storyteller. Liesl And Po, a story Oliver says is very close to her heart, is Oliver’s middle grade debut. It is a magical read in which ghosts play a prominent role and titular character Liesl must go on a journey and set her father’s ashes to rights. Lauren Oliver did a really great job in her second book. It just spells A-M-A-Z-I-N-G.
Liesl is just an ordinary girl that was locked by her stepmother to the attic. She was alone and lonely, with no friends to talk with. After her father’s death; Po, a ghost from the ‘Other Side’ with its pet, Bundle visited her. Liesl and Po found happiness and comfort with each other for they were like the other- alone, lonely with no friends. Will is an alchemist’s apprentice that always goes Lauren Oliver did a really great job in her second book. It just spells A-M-A-Z-I-N-G.
Will is an alchemist’s apprentice that always goes through Highway Avenue to catch a sight of a heart shaped girl up on the attic through the window (view spoiler)[ (which revealed she was Liesl) (hide spoiler)], to whom he developed feelings for. That same night, he was bringing a wooden box containing the most powerful magic in the whole universe that took the alchemist five years to complete. He was going to deliver it to Lady Premiere, a rich and native princess. After that, he’ll proceed to Mr. Gray to get some supplies he’ll deliver to the alchemist. Because of the idea of saving time, he accidentally mixed the wooden box of Liesl’s father ashes to that of the box that was containing the most powerful magic. Too many mistakes and accidents happened, and Will’s mistake was just only the beginning. After the switch of the wooden boxes, Will ran away and to the Gainsville. Liesl, with the mission to bury her father’s ashes beside her mother’s, got away from her prison and travelled on her own. The two children’s paths crossed and they decided to help each other since they were both orphans and alone. After going through a lot of obstacles and another dozens mistakes and also discovering the whole truth about Liesl’s father’s death; Liesl, Po, Bundle and Will go to the Red House and accomplished their mission- to bury Liesl’s father’s ashes beside her mother’s. They had saved not only Liesl’s father’s soul, the whole country but they had also saved Po and he with Bundle can no go to Beyond and rest in peace. Since then the sun always shines to their country and the dark days were over and replaced by a new beginning. -The plot! Isn’t it just so amazing and touching? So so GREAT! It is simply adorable. It is child friendly, no profanity, great story and a moral lesson on the end. Everything I love is already in this book! -Writing Style. I love Lauren Oliver’s writing style, it was just so astounding! The story really goes smoothly like a calm river going to the waterfalls. -The cover! Just look at that! JUST LOOK AT THAT! A beautiful heart shaped girl opening a box full of wonders and the designs beside the picture… So mesmerizing! I wish a copy of this book is available in the Philippines. **sighs** Now that’s I call a great book cover! Authors should really consider thinking of a great book cover like this one. **points on the book cover of Liesl and Po by Lauren Oliver** Very idealistic. -The Summary Description at the back of the book! It is a great plot summary that catches every reader’s attention. It’s not boring that’ll make you think: Boring, next book please. Nor too descriptive like Too spoilerish, it eventually told the whole story! Why would I even bother to read the book if I already know the story? . It is descriptive, yes, but not too much. It’s more of a This sounds really interesting! I should check this out! -The illustrations! Kudos to the illustrator of this book! It also catches my eye and had a really fun time reading it at the same time admiring the pictures. Usually I prefer books that doesn’t have pictures and now I tried reading one, it wasn’t that bad like I thought it was before. -The setting! I have only read a few books that are set around the Victorian era in London or somewhere in England or United Kingdom. This is my second book which has this kind of setting (the first one is The Infernal Devices series by Cassandra Clare). Most of the YA or Children’s book nowadays focus on dystopian or futuristic kind of world like The Hunger Games, Divergent and Delirium. -Surprisingly, I didn’t find anything I dislike about this book. I am an easy-to-please kind of person. For me, Liesl and Po by Lauren Oliver is amazing enough that I don’t dislike anything about it. It is inspiring for it is one of those books that have this message: Don’t give up, keep moving forward and don’t lose hope. A new day will always come and so is a new beginning to start with. Or it could be: After the rain, there’ll always be a rainbow. And at the end of the rainbow, there’ll always be a pot of gold. Another great message the book would like to say is: Each and every one of us has their own purpose in this world. We’re born to do something, to be instruments of God. Po became the instrument to help Liesl finish her mission, saving his soul in the process. The alchemist became the instrument to end the dark days all over their country- for the sun to shine bright and come out of the clouds. As Wendy Darling said best in her review of this gorgeous book; a good children's book will not only entertain you, but illuminate your life. It was Wendy's review which made me decide to read Liesl and Po and I am so glad I did. Liesl and Po is the story of a girl and a ghost. Well, at first it appears to be; however, it is so much more. This is not just Liesl’s story. It reminds me a little of a TV drama; all the characters are imperative to the show, but there is one that holds them all toget As Wendy Darling said best in her review of this gorgeous book; a good children's book will not only entertain you, but illuminate your life. It was Wendy's review which made me decide to read Liesl and Po and I am so glad I did. Liesl and Po is the story of a girl and a ghost. Well, at first it appears to be; however, it is so much more. This is not just Liesl’s story. It reminds me a little of a TV drama; all the characters are imperative to the show, but there is one that holds them all together. Each of the other characters was a crucial part of Liesl’s story. That was the kind of world they lived in: When people were afraid, they did not always do what they knew to be right. They turned away. They closed their eyes. They said, Tomorrow. Tomorrow, perhaps, I’ll do something about it. And they said that until they died. My new love for this book (view spoiler)[and for Bundle (I want one! mwark.) (hide spoiler)] is ineffable; I just wish that it had been around when I was younger because I just know that it would immediately have been held in the same place in my heart as Molly Moon. If you want a nicer, more eloquent review of this brilliant book please check out Wendy, K. and Jo’s reviews. Words can not describe how utterly heart-warming, how completely enchanted and how truly ineffably happy Liesl & Po made me feel. Out of all the children's fairytales I have read in my youth and my adulthood, this modern tale really was an absolute joy to read. The prose is breathtakingly beautiful and absolutely delightful. The characters are exceedingly loveable; instant classics. The story itself is simple enough, though layered with deep and rich lessons about love and loss. I am truly e Words can not describe how utterly heart-warming, how completely enchanted and how truly ineffably happy Liesl & Po made me feel. Out of all the children's fairytales I have read in my youth and my adulthood, this modern tale really was an absolute joy to read. The prose is breathtakingly beautiful and absolutely delightful. The characters are exceedingly loveable; instant classics. The story itself is simple enough, though layered with deep and rich lessons about love and loss. I am truly enamored with this tale and upon finishing, I find myself wishing it was a series of books; that I could remain inside this world for longer...even though I know the story has ended. Had I read this when I was a child, I know it would be one of; if not my favorite story of all time. As it is, the adult me knows that I will read this story again and again. Liesl, a truly lovable orphaned girl is confined to living in her attic by an evil stepmother. One night a ghost appears to Liesl. A ghost name Po and his ghostly pet Bundle. Through a random series of events a story is born and Liesl, Po and Bundle will embark on a journey to bring Liesl's father ashes to their rightful place; so he can finally rest. A journey that will prove much more complex...and magical than either could have possibly imagined. All the while, the evil Alchemist, the Lady Premiere and Liesl's own evil stepmother are hot on their tales; each with their own diabolical agendas. With the help of the Alchemist's own poor and mistreated apprentice Will, Liesl, Po and Bundle will race against time to complete their journey. I met Lauren Oliver back in February 2011 and I thought she was lovely and so American (I hadn't met many Americans before!). All three of her novels: Before I Fall, Delirium, and Liesl & Po are very different from each other but are equally as good. She has a talent for writing realistic fiction, dystopian fiction and now children's fiction. 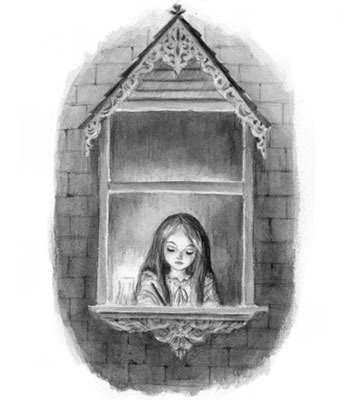 Liesl & Po is a story about a young girl's bereavement and how a ghost and a lonely alchemist's apprentice help her fulfil her father's wish: his a I met Lauren Oliver back in February 2011 and I thought she was lovely and so American (I hadn't met many Americans before!). All three of her novels: Before I Fall, Delirium, and Liesl & Po are very different from each other but are equally as good. She has a talent for writing realistic fiction, dystopian fiction and now children's fiction. 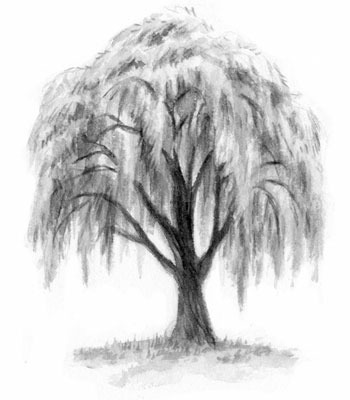 Liesl & Po is a story about a young girl's bereavement and how a ghost and a lonely alchemist's apprentice help her fulfil her father's wish: his ashes are to be settled under the willow tree, next to his wife's grave. Our protagonists face many challenges and come across quirky characters; some loathsome, some affable. I thought the characterisation was of a similar style to Lemony Snicket; it's a style that really stands out and makes it clear that this a children's book and not a young adult book. It is also wonderfully written and has many quotable sentences. I think one of the reasons why I liked it so much is because at the beginning of the book, Lauren Oliver talks about her inspiration behind the novel. She wrote Liesl & Po in 2 months in order to make sense of the sudden death of her best friend. Knowing that each sentence has personal significance for Lauren made it much more meaningful. I am also a sucker for illustrations in books (e.g. A Monster Calls). I really love them if they're done as well as they are in this book. I thought the sketches in the review copy of Liesl & Po were impressive, but the final versions are even more so. They're beautifully drawn by Kei Acedera and they fit perfectly with the storyline. Overall, I really enjoyed Liesl & Po. I think it's a very well written children's book that I can see being treasured by many.